Behavioral Interventions--For Kids! : I love you to pieces! Dollar store puzzle, some paint, paper, markers, any art supplies you have, and optional magnet strips. Voila! 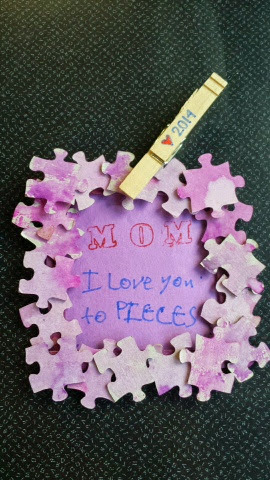 Make this cute activity into a magnet, or frame pictures, reasons I love my mom, a letter, whatever awesome ideas can come up with.